The Dodge Caravan was the original minivan--the first of its kind when it was introduced in 1984. Missing from the Chrysler range since 2008, it's now remembered more often as the short-wheelbase version of the company's popular family haulers. Those minivans have now been on sale for more than three decades, and the Dodge version has been there all along, with Chrysler, Plymouth, and even Volkswagen versions offered over the years. 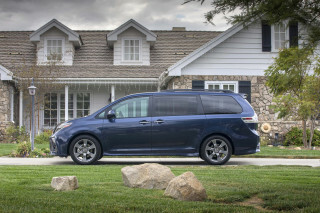 It competed directly with offerings like the Chevy Venture, Pontiac Montana, Olds Silhouette, then eventually the better-selling Nissan Quest and Ford Windstar/Freestar, and then drew the most heated competition from the Toyota Sienna and Honda Odyssey. The Caravan was launched in 1983 for the 1984 model year, roughly the size of today's Mazda 5 minivan. The new vehicle type had been dreamed up by a team of engineers including Hal Sperlich, and pitched to Ford Motor Company's leadership, which rejected the idea. The idea moved across town with some of those executives to Lee Iaccoca's Chrysler Corporation, and in 1983, the Caravan sprang to life and instantly became one of the most popular new American vehicles of the day. The mechanicals weren't exotic, or particularly wonderful--the minivan was based on Chrysler's K-car platform, but the idea itself was such a winner, the prosaic pieces proved to be good enough. With four-cylinder engines eventually upgraded to turbo fours and V-6s, with three- and four-speed automatics (and some manuals) shuffling power to the front wheels, the Dodge Caravan turned out to be the best alternative yet to station wagons and full-size vans. The first-generation Caravan didn't have anti-lock brakes or airbags, but it could carry seven passengers and had the defining minivan piece--a sliding side door--that made its utility undeniable. 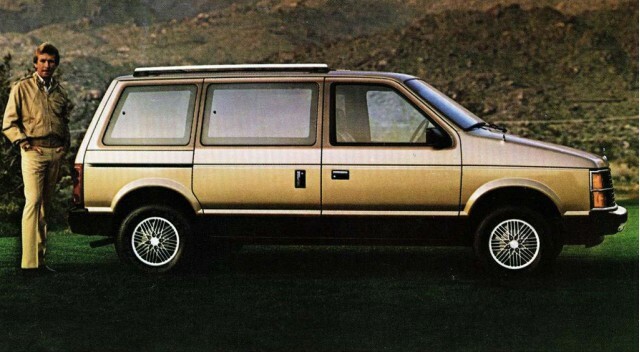 The long-wheelbase Dodge Grand Caravan, by the way, joined the lineup in 1987. A second sliding side door was offered as an option in the first generation, but eventually became standard equipment. The 1991-1995 Dodge Caravan improved upon most features and the powertrains of the original, but still was a K-car underneath. All-wheel drive and anti-lock brakes were added to the lineup; dual front airbags became standard while Chrysler dropped one questionable feature, optional woodgrain trim for the exterior. 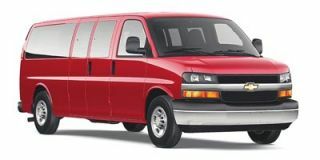 A brand-new Dodge Caravan emerged for the 1996 model year, and the egg-shaped redesign was an unqualified hit. 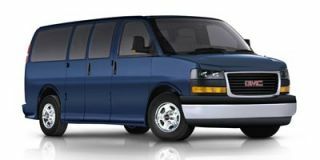 Based on a new architecture related to the new Chrysler Concorde sedan, the handsomely styled vans had deft touches like hidden tracks for the sliding side doors. Second- and third-row seats grew roller wheels for easier removal, too. This generation of the Caravan was later found to have poor front-impact crash protection, and a long-running transmission issue led to thousands of warranty claims against Chrysler. 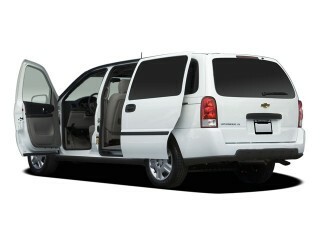 In the 2001 model year, a reskin of the previous generation minivan added width and length to the design, as well as power sliding side doors. In 2005, Chrysler re-engineered the entire seating system of the minivans to coincide with the launch of the Pacifica crossover; the new feature, Stow 'N Go seating, allowed drivers to tuck the second and third-row seats under the floor, or to use the allotted space for storage. 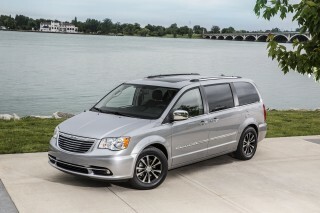 As Chrysler approached bankruptcy in 2008, a new generation of its minivans was launched. However, it launched without the short-wheelbase Caravan, which was dropped from the lineup. All Dodge minivans became Grand Caravans. Love me some Dodge Grand Caravan! This is by far the worst car I have ever owned. The horn was part of a recall that the other owners never fixed or disclosed.